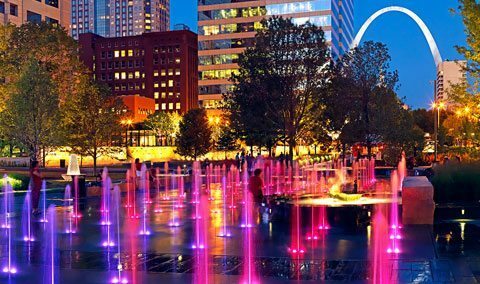 St Louis is a city in the State of Missouri. It’s also a port. It is located on the bank of the Mississippi River. It’s the 2nd largest city in the state. The city is often called the Gateway City. There are many good parks in the city. For instance, in Forest Park. There are some great museums there. As for the living choices, there are plenty of them in St Louis. One can choose between the city and the suburbs. The cost of living is quite affordable. It is a good place to raise a family. Summer is hot and humid. Winters are cool. It doesn’t stay cold for long periods of time. If you’re looking for a St Louis Auto Transport company, AM PM is here for you. We have everything you want from a reliable carrier/broker. We have been in the industry since 2008 and have plenty of experience. We can ship any vehicle for you to or from St Louis. All the routes are available with AM PM. We transport all over the United States. AM PM is licensed and bonded. We have great ratings and provide insurance. Our St Louis Car Shipping methods include Open and Enclosed Auto Shipping. We provide dependable St Louis Car Transport services for really reasonable prices. We do all we can to be able to provide our customers with the kind of services they need. If you have any questions about St Louis Car Shipping, our live agents are always there to help you. We always try to arrange everything in the best way for you. We get great deals and do our best to lock the dates of shipping that you want. We’re honest about our rates and policies. AM PM is the St Louis Car Transport company you can rely on. AM PM is always glad to do St Louis Car Transport for you!